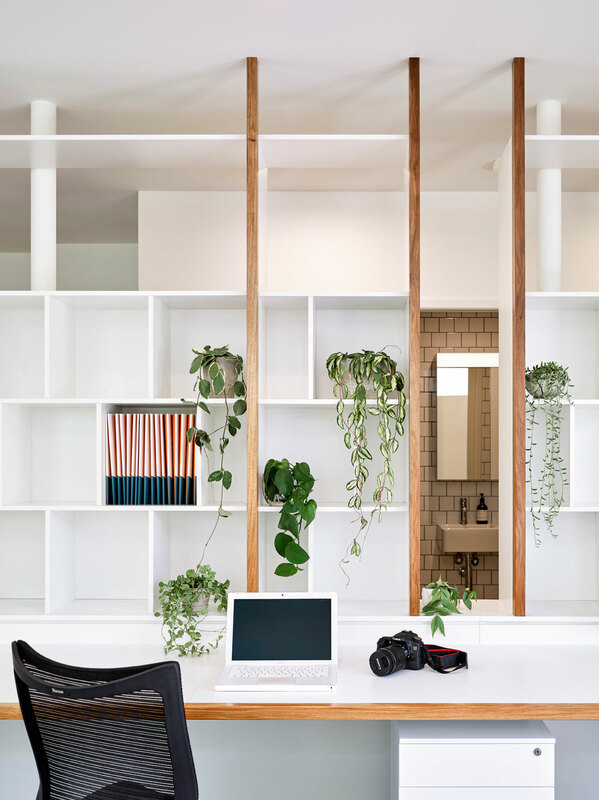 Just a short distance from the CBD, the former industrial precinct of Teneriffe/Newstead is now bustling with high-density housing, corporate business, hospitality venues and public amenity. 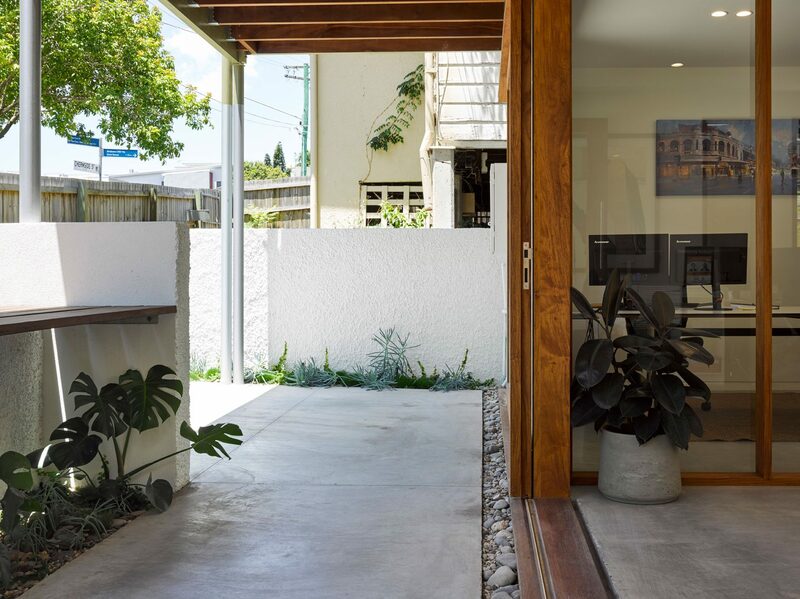 15 Chermside St capitalises on the uniqueness of its location – at the threshold between the established suburb of New Farm and the new urban precinct of Newstead/Teneriffe, the building facilitates various uses through a series of versatile, multi-purpose spaces. 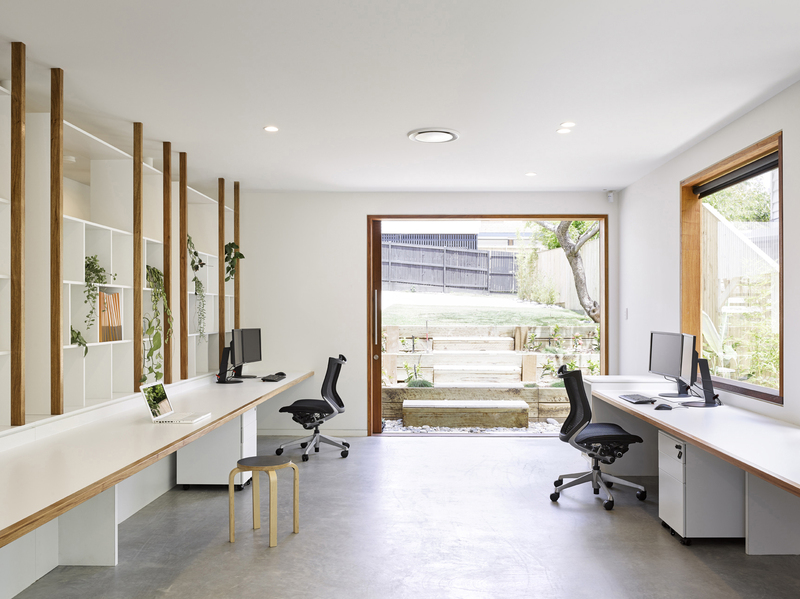 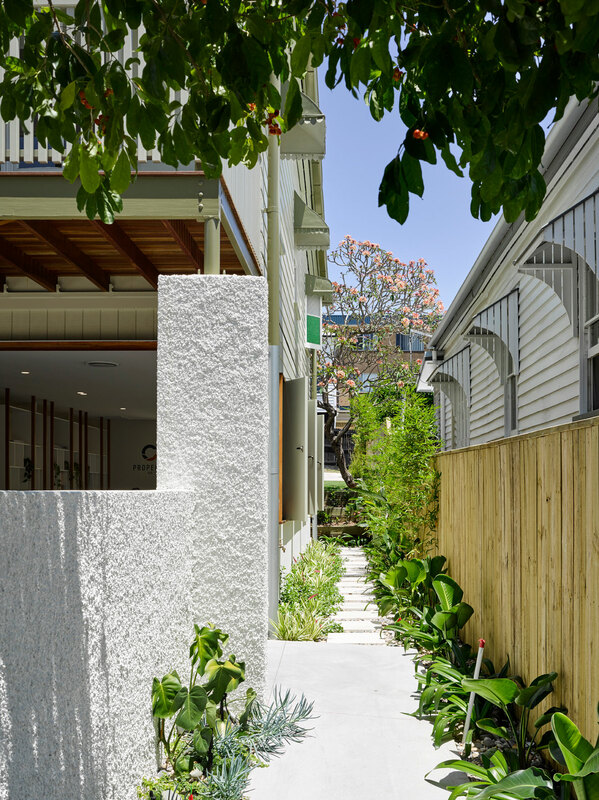 In its current form, the ground floor has been configured to accommodate a commercial office, with a semi-public frontage to Chermside St mediated by an external courtyard and garden.